The easiest way to make a PDF is to design it in a program you’re familiar with (like a free word processor, desktop publishing application or photo editor), then export it in PDF format. However, that isn’t always possible. You might be using a program that doesn’t offer PDF as an option, you might want to create a PDF from a web page, or you might have several documents that you want to convert to PDFs at once. That’s where dedicated PDF makers come in. These programs act like a printer driver, and enable you to make PDFs in any application that has a ‘Print’ option. That’s not all – a good PDF maker will also include handy features like the ability to split and merge PDFs, extract specific pages, and adjust security settings. Here’s our pick of the best. Bullzip PDF Printer Community Edition is a free home version of a business-oriented PDF maker. It looks smart, is well designed, and is packed with every tool you could possibly need for making your own PDFs. When you use Bullzip to make a PDF, it can tag the resulting document with customizable metadata, including author, title, subject, and keywords. You can apply a custom watermark (including variables such as the current date, page number, PC name, username, and many more), apply a digital signature, append PDFs to converted ones (ideal if you need to tack terms and conditions onto lots of documents, for example), add password protection, and adjust permissions. You can even change the initial zoom level when the PDF is opened, so you can choose a setting that will enable other people to start reading the text immediately without adjusting their PDF viewer first. A couple of options are restricted to the premium licensed software (most notably FTP upload), and your PDF will be watermarked if you use one of these settings, but you’re given plenty of warning if this is going to happen. Bullzip is hugely impressive, and although its interface isn’t as glossy as some, it’s amazingly flexible and offers everything you could need from a PDF maker. PDFCreator is a flexible PDF printer driver that’s a pleasure to use. As with Bullzip, you can start using its default settings immediately – just select ‘Print’ in the program of your choice and select it from the list of available devices – but fire up the application itself and you’ll find a huge array of customization options. One of our favorite tools is Windows Explorer context menu integration. Once this is activated, you can right-click any text or image file to convert it to PDF format without opening it. You can also change the output settings, including metadata, watermarks, and filename. 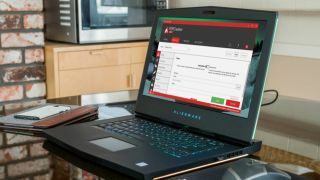 If you don’t just want to save it straight to your hard drive, your PDF can be sent straight to Dropbox, your preferred email client, or an FTP server. It’s all very well designed and easy to configure. The free version of PDFCreator is supported by ads, but is otherwise almost identical to its paid-for counterpart. While installing PDFCreator, select the ‘advanced’ option to opt out any any unwanted extras. The free PDF editor PDFArchitect is worth considering, though – it lets you tweak, rotate, and sign your documents once they’re created. PDF24 Creator is another PDF printer driver that makes it easy to export documents from any other application. To use all of its features you’ll need to sign up for a free account (which will be used to manage any premium software from the same developer), then enter an activation code. It’s not much hassle, but counts against it when rival programs offer the same tools without you submitting any personal data. Once you’re in, there’s a good selection of tools, though some are very similar to one another. For example, there’s a drag-and-drop converter (though unfortunately this can’t handle DOCX files), plus a printer assistant that uses a different interface to achieve much the same end. The ability to convert documents straight from a scanner or camera is a very welcome addition, though we doubt many people will use the ‘Send to fax’ option in 2017. PDF24 Creator is a solid PDF creator, but its interface and toolkit are showing their age, and could do with some streamlining it bring it in line with the competition.